This remanufactured (reloaded in a factory) product is brass-cased, boxer-primed, non-corrosive, reloadable, and packaged in 100 round, sealed plasti-packs. It is both economical and precision manufactured by an established American cartridge producer. Remanufactured ammunition has been around for decades. Some of the world’s best shooters use only remanufactured or custom manufactured ammunition to achieve a level of consistency and optimal ballistics performance that cannot be achieved with mass-manufactured ammunition. 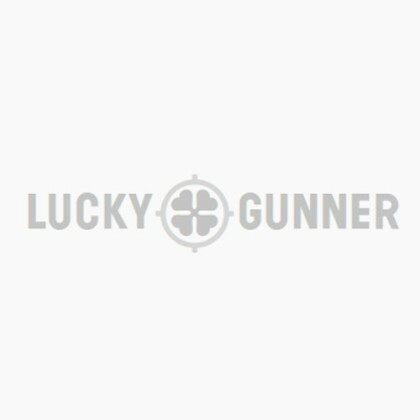 Remanufactured ammunition is produced by assembling carefully selected components to include specialty bullets, propellants, primers, and previously spent brass cartridge casings. The bullets, propellant, and primers are always newly manufactured while the brass cartridge casings are typically reprocessed to reduce costs or improve consistency. This MBI product is manufactured using only the highest quality products available to ensure consistent ballistics and firing performance. 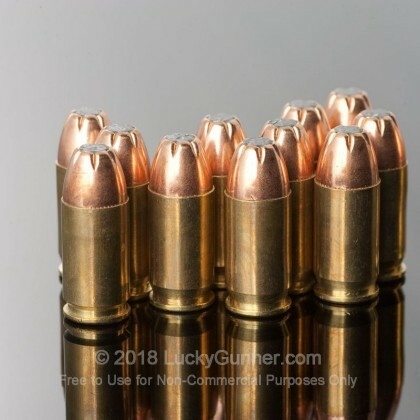 The propellant is manufactured by Hodgdon, the bullets are manufactured at either the Lake City military manufacturing facilities or by Hornady, and the primers are manufactured by either CCI or Winchester. In addition to using only the best available components, MBI ammunition is assembled using some of the most modern electronic press equipment available. Because exceptional consistency is a major factor in creating accurate ammunition, a production facility that uses finely calibrated electronic press technology is key to ensuring that each shooter is well-pleased with the performance of their ammunition. Each brass cartridge casing used to produce MBI ammunition is processed by first undergoing a lengthy mechanical cleansing process. Once cleaned, each casing is then re-calibrated by an electronic press to ensure that the final dimensions of each round are within micrometer tolerances. Each casing is then re-primed and re-charged using high-quality primer and propellants. Once the new bullet is seated using a precision-tuned electronic press, each round is hand-inspected to ensure perfection. This product is not just remanufactured ammunition. It is “precision” remanufactured ammunition for the serious shooter. The fact that it costs less than most new ammunition is simply an added benefit. We don't have any reviews yet for this particular .380 Auto (ACP) ammo from Military Ballistics Industries. 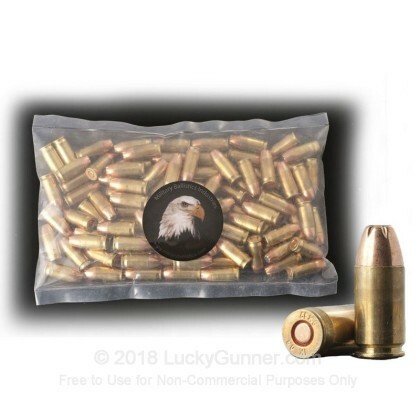 If you'd like to be the first to review this particular .380 Auto (ACP) ammo from Military Ballistics Industries, fill out the form below.